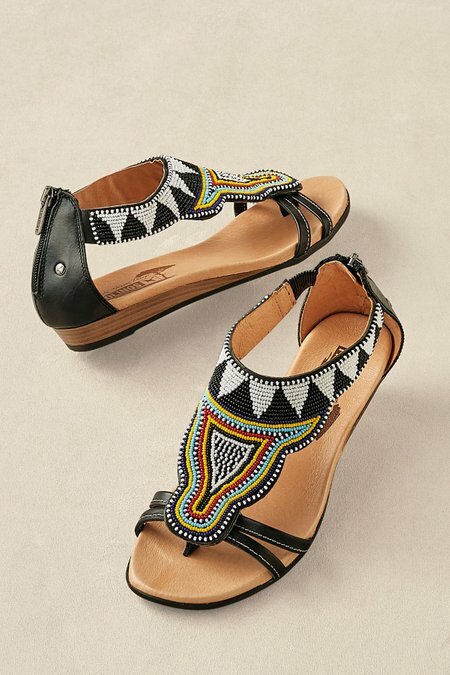 Perfect for globetrotting, Pikolinos sandals present artisanal appeal from toe to heel, with rich, multicolor hand-beading in a so-chic geometric motif on soft leather, plus on-trend slender straps and ankle-wrap styling. Feet will love the breathable leather lining and very cushy footbed with a built-up arch. Back zip offers quick on-off. Wearable 3/4" stacked wood wedge tops a man-made sole.